It is a controversial assumption of this book that the work of Irving Babbitt (1865-1933), the Harvard literary scholar and cultural thinker, will always stand as a monument to American intellectual culture at its finest. Though frequently misunderstood and even maligned, Babbitt is likely to live on after most of his critics have faded from memory. One reason Babbitt has not yet acquired the general reputation he deserves is that his central doctrines went contrary to the intellectual currents of his time. He subjected to sharp and sustained criticism dispositions on which many of his most influential contemporaries were basing their claims to moral and aesthetical sensibility. Indiscriminate benevolence toward mankind, translated into various "progressive" egalitarian schemes in education and politics, he viewed as a caricature of ethics and love as understood in traditional Christianity and other high religions. He insisted that a genuinely moral concern for others presupposes difficult self-discipline on the part of the bearer and a keen awareness of both the lower and the higher potentialities in self and others. In aesthetics, Babbitt similarly went against the tide by arguing that various doctrines of l'art pour l'art are blind to the ultimate purpose of art. Truly great works of the imagination are such not by virtue of their intuitive coherence alone but by virtue of the moral quality of experience they convey. These and other highly inopportune themes, which were not always formulated with diplomatic tact but sometimes with sharpness, irony and ridicule, were not designed to spare him intense, emotional opposition. Babbitt's ideas were the subject of much controversy in the 1920s and '30s. They often served as the focal point for criti cism of the so-called New Humanism, inspired in large part by his work. This controversy involved at one time or another practically every leading figure in American literature and scholarship. Unfortunately, discussion of Babbitt was charac-terized more by vague generalities or vituperation than by careful and dispassionate examination of his ideas. The influence of Babbitt's numerous opponents--including such men as Edmund Wilson, Joel Spingarn, R. P. Blackmur, Oscar Cargill, H. L. Mencken, Sinclair Lewis and Ernest Hemingway--was sufficient to deny his arguments a real hearing. Because of the animosity that he and his disciples encountered, it sometimes seemed dangerous even to mention his name. Babbitt himself cautioned his students accordingly. This is not to suggest that Irving Babbitt has lacked prominent admirers in the United States and abroad. Besides Paul Elmer More (1864-1937), who became his close friend and intellectual ally, he deeply iniluenced individuals as diverse as T. S. Eliot, Walter Lippmann, Gordon Keith Chalmers, Louis Mercier, Austin Warren and, in a younger generation, Russell Kirk, Nathan Pusey and Peter Viereck. He had many admirers in Europe, perhaps especially in France, and also as far outside the West as China. In 1960 Harvard University inaugurated the Irving Babbitt Chair of Comparative Literature. Irving Babbitt was born in 1865 in Dayton, Ohio. On his father's side he was descended from an Englishman who settled in Plymouth, Massachusetts, in 1643. Irving's father was a physician of diverse and sometimes crankish interests. Babbitt was to see in the sentimental and pseudo-scientific predilections of his father examples of what ailed the modern age. Irving's mother, Augusta, died when he was eleven years old. During his childhood and early youth he lived, much of the time with relatives, in many different places, including New York City; East Orange, New Jersey; and farms in Ohio and Wyoming. Babbitt entered Harvard College in 1885. He was already well-grounded in the classics and was, as he says, generally "overprepared" for his studies. Dissatisfied with the pedantry and narrowness of much of the instruction at Harvard, he would not attend class regularly. He spent his junior year in Europe and graduated with Final Honors in Classics in 1889. Babbitt wanted to delve deeper into oriental subjects. After teaching for two years at the College of Montana, he spent a year in Paris working under Professor Sylvain Levi. He continued his oriental studies with Professor Charles Lanman at Harvard. Babbitt received the A.M. degree in 1893. Out of contempt for what he saw as the German-inspired requirements for the doctoral degree he refused to acquire that academic credential. Babbitt taught French, Spanish and Italian at Williams College before being appointed to the faculty of Harvard University in 1894. There he was to remain until his death in 1933. Although deeply knowledgeable in and attracted to the Greek and Roman classics, he was allowed to teach only in the Department of Romance Languages and Literature and in the Department of Comparative Literature. His teaching soon earned him considerable opposition from his colleagues. 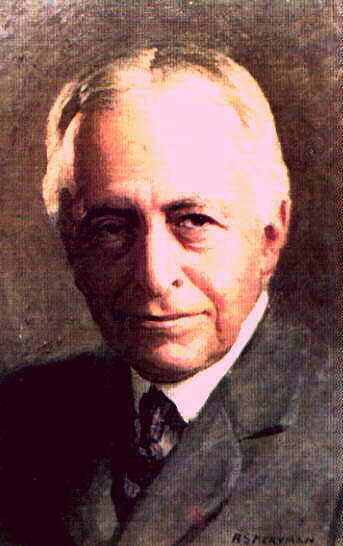 His open criticism of the educational ideas of President Charles W. Eliot did not strengthen Babbitt's position, but his growing reputation as a scholar and teacher and his large number of good students finally led to his promotion to full professor in 1912. Babbitt was a Visiting Professor at the Sorbonne in 1923. He became a corresponding member of the Institute of France, and in the United States he was elected to the American Academy of Arts and Letters. Babbitt's first book, Literature and the American College (1908), defines and defends the classical discipline of humanitas as an answer to the erosion of ethical and cultural standards brought on by scientific naturalism and sentimental humanitarianism. In The New Laokoon (1910) he examines at greater length the weaknesses and dangers of modern conceptions of art. The Masters of Modern French Criticism (1912) develops Babbitt's critical standards and applies them in assessments of leading French literary critics and aestheticians mainly in the nineteenth century. Perhaps the most important of Babbitt's works is Rousseau and Romanticism (1919). Here he describes and criticizes in depth various aspects of romanticism wfth special reference to one of its seminal and most brilliant minds. Democracy and Leadership (1924) relates Babbitt's ethical and cultural philosophy to issues of politics. On Being Creative (1932) and The Spanish Character, published posthumously in 1940, contain essays in literary and cultural criticism. Babbitt's original translation of The Dhammapada, the Buddhist holy text, was published together with a long interpretive essay in 1936. These brief biographical and bibliographical remarks cannot convey the scope of Babbitt's mind. His thinking defies academic boundaries. He is far more than a literary and cultural critic, as those terms are ordinarily meant. His particular subjects become the occasion for developing a comprehensive view of life. His thought is marked by cosmopolitan breadth and vast literary, historical and philosophical learning. A legendary Harvard teacher of wit and humor as well as strong conviction and assertiveness, Babbitt made a deep impression on many of his students. Austin Warren refers to Babbitt in the classroom as an experience not before encountered nor ever to be forgotten.' "1 Friends and students of Babbitt's contributed to the valuable collection of memoirs edited by F. Manchester and 0. Shepard, Irving Babbitt, Man and Teacher (1941). Babbitt's ideas and their historical influence are examined in David Hoeveler's The New Humanism: A Critique of Modern America 1900-1940 (1977), which is broadly informative and sometimes quite perceptive but not consistently reliable in details and matters of interpretation. Babbitt has continued to have a not insubstantial influence, although it is one often formally unacknowledged in footnotes and other references. Examining Babbitt's influence on various well-known writers, some of whom have also been his critics, sometimes becomes a psychologically interesting study of the covert assimilation of ideas. Walter Lippmann was a young socialist when he took a course with Babbitt at Harvard. There was an understandable element of irritation and hurt pride in Lippmann's early reaction to his teacher, yet Babbitt made a lasting impression. Lippmann's famous book The Public Philosophy (1955) is unmistakably imbued with Babbitt's ideas; still, it does not once mention his name. Other erstwhile critics, such as Arthur Lovejoy and Jacques Barzun, seem to have been similarly affected by Babbitt. Whether submerged or cited openly, Babbitt somehow remains present in the American intellectual consciousness. Perhaps the most telling sign of his presence is the hostility that has greeted attempts to take a new look at his ideas long after his death. That his critics generally have been unwilling to contend with his real arguments, as distinguished from long-circulating caricatures, may indicate that, intuitively, the critics do recognize the importance of his ideas and their potential for unsettling accustomed ways of thinking. An important reason why Babbitt has not yet received the widespread attention he deserves is that, with very few exceptions, his interpreters have not attempted a philosophical explication and assessment of his work. Babbitt was well versed in many aspects of philosophy and brought to most of his subjects the kind of comprehensiveness that is characteristic of good philosophy. Yet he was not a professional, "technical" philosopher. Profound though many of his insights are, he did not always develop them systematically and with conceptual precision. The intellectual power and coherence of his work are sometimes obscured by fragmentary argumentation or by ambiguous, cryptic or overly compressed statements of ideas. The real import of Babbitt's central insights can be demonstrated by careful philosophical analysis of his work as a whole. There is a strong need to lift his thought out of the sphere of rather general discussion in which friendly and unfriendly commentators alike have placed it. The renewed and growing interest in Babbitt in recent years underscores the scholarly necessity of relating his ideas to the enduring concerns of philosophy proper. The plan of this book does not quite conform to any established genre of scholarship. Literary scholars who are most likely to be familiar with Babbitt may be disappointed to find in this study, which aims first of all at conceptual clarification, little of the stylistic flavor and concrete illustrations expected of a more literary or historical work. Some professional phi losophers, on the other hand, will perhaps feel uneasiness about the many references to writers and subjects that have been primarily the concern of literary scholarship. This book seeks to demonstrate the significance of Babbitt's work for understanding and dealing with the problem of reality. Babbitt has much to contribute to broadening and deepening the epistemology of the humanities, including philosophy itself and the social disciplines. His most original insight relating to the theory of knowledge may be his view of the relationship between imagination (intuition) and moral character. The book is structured to explain in depth the epistemological importance of Babbitt's doctrine of the ethical and unethical imagination. His ideas in this area address a neglected aspect of modern aesthetics, but they also have profound implications for our understanding of the process of knowledge, including the work of reason. Babbitt's contribution to the theory of knowledge can be brought fully into view by examining it within a philosophical frame of reference in some respects broader than his own. Much can be gained by drawing selectively from the work of the Italian philosopher Benedetto Croce (1866-1952). Croce's name is everywhere known, but his importance has been insufficiently understood, especially outside of his home country. He is famous for his early aesthetical ideas, particularly as expressed in Aesthetic (1902). Far less known but of similar philosophical weight are his ideas on logic and ethics, developed most importantly in Logic (1908) and Philosophy of the Practical (1908). Many of Croce's ideas correspond or run parallel to Babbitt's. Although this book will argue that Croce's work has serious weaknesses and that he is not Babbitt's equal where it counts most, he expresses himself with a philosophical precision rarely matched by Babbitt. Croce's philosophy, because it develops systematically and at length some ideas which are left vague in Babbitt's writings, is helpful in bringing Babbitt's ideas to greater conceptual clarity. An examination of Croce also suggests the need to revise and supplement Babbitt in some areas, particularly in his view of reason. A comparative critical analysis of these representatives oftwo continents is well-suited to rethinking the fundamental problems of epistemology. The emphases and ideas of Babbitt and Croce are sufficiently different to require discrimination and choice but also are sufficiently related to make possible some fruitful syntheses. The book will seek to forge their respective strengths into a systematic whole, thus developing a new approach to the problem of knowledge. Readers sympathetic to Babbitt may be suspicious of an attempt to synthesize his work and Croce's. Did not Babbitt express strong reservations about the Italian philosopher? How could Babbitt's ethical dualism, his belief in the reality of evil as well as good, be reconciled with Croce's idealistic monism, closely related to Hegel's? How could Babbitt's insistence on the ethical dimension of art be reconciled with Croce's emphatic insistence, at least before 1917, that art is indifferent to morality? But it is possible to draw on Croce's ideas in logic and ethics without accepting his monism; and one can learn a great deal from his aesthetics without accepting his early insensitivity to art's ethical quality. After 1917 his aesthetical ideas became virtually indistinguishable from Babbitt's. Philosophical discussions are never served by rigid prejudgments of what is to be found in various thinkers. Ideas contain potentialities for development in sometimes unexpected directions. This book offers some extensive criticisms of Babbitt, many of them along lines suggested by Croce's philosophy. Part One is devoted mainly to identifying weaknesses in Babbitt's position and to supplementing his ideas. Attention is drawn in particular to deficiencies in Babbitt's understanding of the nature of reason. This criticism and revision is needed in part to explicate the main strengths of Babbitt's general position, which is done in Part Two. Because of the order of presentation, the impression may initially prevail that Croce is the superior thinker. Rather, the net effect of comparing and synthesizing the two men's ideas is to demonstrate the essential soundness of Babbitt's thought where it matters most. Not only are the weaknesses in his treatment of epistemological issues balanced by significant insights in that same field; it can also be argued that, in the search for reality, technical philosophical brilliance is less important in the end than having ethical wisdom. Babbitt reveals a deep and subtle awareness of the fundamental problem of ethics and its relationship to the problem of knowledge. That Babbitt pays inadequate attention to some questions of epistemology and is disinclined to take up sustained technical philosophical analyses can be attributed in large measure to his belief that grasping reality is ultimately dependent on man's willing what he ought to will. For all of Croce's intellectual brilliance, he betrays a lack of ethical sensitivity. Even though a critic of much of Hegel's work, Croce is a captive still of the German philosopher's monistic-pantheistic tendency to explain away the reality of evil. According to Babbitt, Croce " 'combines numerous peripheral merits with a central wrongness and at times with something that seems uncomfortably like a central void.' "2 Read as an assessment of Croce's work as a whole, this is an unfair and exaggerated statement; most of Croce's philosophical insights are anything but peripheral. The statement is typical of Babbitt's habit of judging thinkers primarily by their ability to discern adequately the ethical dimension of problems, a habit which sometimes makes him discount or seem to discount—merits in other areas. Yet his comment on Croce is not without truth. In respect to what is most important to the central soundness of a philosophy of life, the synthesis of Babbitt and Croce must be achieved largely on the terms of the former. Croce is regarded here as providing a very eniightening supplement and corrective to Babbitt, rather than vice versa. Through the explication and critical assessment of Babbitt, with special reference to Croce, this book develops a theory of reality and knowledge. The central thesis presented is that knowledge of reality rests upon a certain orientation of the will and upon the corresponding quality of imagination (intuition) that the will begets. Reason is dependent for the truth and comprehensiveness of its concepts on the depth and scope of the material that it receives from the imagination. Babbitt's important contribution is the doctrine that only the highest form of the imagination-which he regards as sustained and anchored in ultimate reality by ethical will-pulls man towards a comprehensive and proportionate view of life. Conversely, immoral desire distorts our imaginative vision and, hence, our sense of reality. Synthesizing Babbitt's ethico-aesthetical ideas and elements of Croce's logic, the book argues that an important source of faulty philosophical reasoning is misleading intuition which misdirects the attention of reason. Because man's grasp of life is seen as enhanced or distorted according to the underlying orientation of the will, considerable attention is given to Babbitt's ethical doctrine and Croce's philosophy of the practical. If the book puts much emphasis on the intuitive and practical aspects of knowing as something poorly understood in contemporary philosophy, it also argues for renewed confidence in reason. An integral part of the epistemological thesis is a revised understanding of the nature of reason. The philosophy of human life, it is suggested, employs reason of a different kind than pragmatic or positivistic rationality. Genuinely philosophical reason has the capacity for discerning and formulating the universal dimensions of life. Still, reason is not ahistorical. This book rejects prevalent formal and abstract notions of logic in favor of dialectical logic. Philosophical reason joins the universal and the historical. The coexistence in philosophical reason of the universal and the concrete particular points to the aforementioned bond between reason and intuition. The human consciousness forms an organic whole. A philosophical account of a particular element of experience must set it in the larger context of life and hence relate it, implicitly or explicitly, to other elements. An adequate understanding of either will, imagination or reason requires that they be viewed together-that is, systematically. The universals of philosophy are distinct categories within a larger whole. The essence of the theory of knowledge here developed lies in the theory's definitions of will, imagination and reason, and of their relations to each other. The complexity of the subject matter presents unusually difficult problems of organization. The intricacy of the relation ship between the relevant problems of ethics, aesthetics and logic requires much movement back and forth between these areas. Because philosophy is systematic, all the chapters in a philosophical treatise in a way presuppose each other. Insight is not gained by a process of mere addition. Concepts formulated in certain pages are ideas in the making, anticipations of the clearer view which can be provided only by the work in its entirety. Particular formulations are seen in hindsight to have been manifestations of the overall thesis and to be in this sense indistinguishable from ideas presented later or earlier. Attempts fully to explain the placing of a chapter or section here or there are attempts to write the entire work before it is written. The reader of this book, if sometimes wondering about the order of exposition, may rest assured that the material has been carefully arranged to make as clear as possible the distinctions and relations which constitute the book's philosophical substance. Part One of the book develops the notion of philosophical reason. It does so by distinguishing this reason from will and imagination, as well as from pragmatic rationality. These discussions set the stage for Part Two, which concentrates on explaining the epistemological significance of Babbitt's understanding of the relationship between will and imagination. Babbitt's grounding of the search for reality in a transcendent moral order has some parallels or counterparts among thinkers of recent decades, as exemplified by American social and political thought. With varying emphases and degrees of success, this line of inquiry has been pursued by thinkers as diverse as John Hallowell, Russell Kirk, Reinhold Niebuhr, Leo Strauss, Peter Viereck, Eliseo Vivas and Eric Voegelin. The efforts of these writers appear to have had little influence on the development of philosophy in the broader and stricter sense. With rare exceptions, they have not formed part of a sustained attempt to develop a comprehensive and precisely formulated philosophy . Because of what usually passes as reason in most contemporary philosophy, technical philosophical inquiries are often viewed with suspicion as likely to play into the hands of moral nihilism or relativism. It is not uncommon, as in the case of Viereck, Kirk and even Voegelin, to appeal to experience or intuition rather than to conceptual reason as support for the existence of a universal moral order, a position that is not false but insufficient. If experience gives evidence of a transcendent moral order, it needs to be explained how we gain knowledge of that order. How is the moral order related to conceptual thought? And what is the relationship of both of these to intuition? The need to explore these issues in depth runs counter to a rather common prejudice, particularly in the Anglo-Saxon countries, against ""systematic" thought. Speculation of that type is believed to be indicative of a closed, dogmatic system. But no claim to final knowledge need be implied in the view that philosophy proper studies its subjects within the context of the larger whole to which they belong. On the contrary, the complexity and limited transparency of that whole induces intellectual humility. Strauss and most of his followers are among those who affirm a distinction between good and evil in the name of reason and philosophy. But what they call philosophy is usually rather narrow in scope and quite general in formulation. Hence, one may question whether they have really come to philosophical grips with the deepest challenges of modernity. Are the epistemologies of Plato or Aristotle still essentially adequate? Or have the more than two thousand years of philosophical speculation since their time yielded substantial new insight adding to or making necessary the rearticulation and revision of their central ideas? The laudable wish to uphold the existence of universal values is hardly best served by attempting a return to premodern ways of thought. Being philosophically modern does not have to mean espousal of what undermines universality. The most truly modern thinker may be one who is profoundly respectful of ancient insights while understanding that philosophical knowledge is a grasp of the universal forever in need of clarification and restatement. In order to gain a strong foothold in philosophy, contemporary intellectual efforts to restore a sense of man's transcendent moral purpose need to give more attention to fundamental philosophical problems and particularly to questions of epistemology. A willingness to consider that the last two centuries have brought forward some very fruitful new ideas, as well as much decadence, may produce results surprisingly compatible with central classical and medieval beliefs. Since all genuine philosophy is systematic, attempts to develop a theory of knowledge are likely to give greater depth and precision also to our understanding of the transcendent moral order.